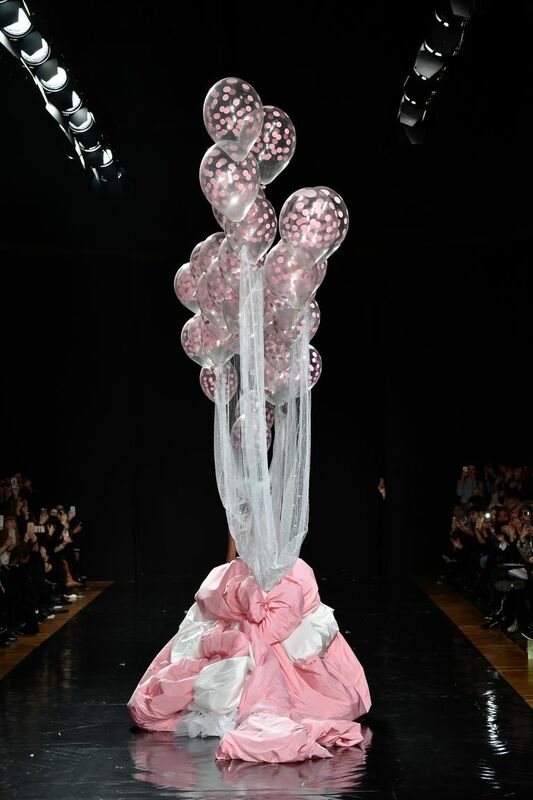 Lena Perminova closed the Celia Kritharioti show in a balloon-lifted veil. There’s no greater place to seek fairy-tale bridal inspiration than Couture Fashion Week, where historic brands flaunt their most awe-inspiring creations to the industry’s elite. But just when you thought Ralph & Russo’s finale gown was all you needed to add to your Pinterest inspiration board, Greek couturier Celia Kritharioti just upped the drama (quite literally). The designer’s spring/summer 2019 show reminded onlookers what couture is really all about, as Russian model Lena Perminova took to the runway in a dreamlike frothy gown for the finale. 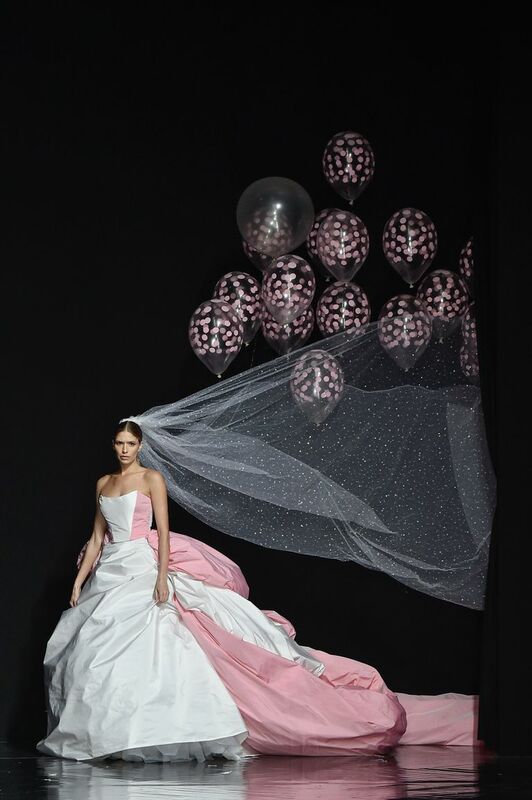 Made up of supersized bows, the theatrical dress gave the traditional bridal gown a millennial twist with flashes of pink, but it was an extravagant headpiece which really earned a round of applause from spectators. 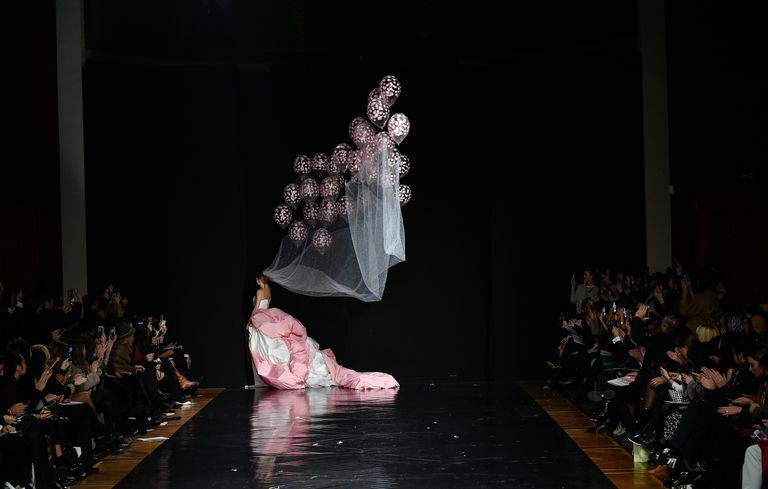 The front row sparkled with iPhone flashes as Perminova’s sheer veil floated behind her courtesy of confetti-filled helium balloons. The circus-themed tune of Entrance of the Gladiator played in the background with the aptly-named ‘Cirque des Couleurs’ dress proving to be Instagram cat-nip. If we’ve learned anything from the show, it’s that if you can’t steal the spotlight on your wedding day, then when can you? There are dogs and chickens are involved too.